Translator’s note: Fatemeh Sadeghi has a PhD in political science and has taught at the Islamic Azad University of Karaj near Tehran. 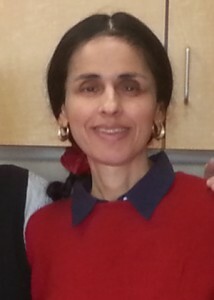 Soon after the publication of her controversial article “Why We Say No to the Compulsory Hijab” [http://iranianvoicesintranslation.blogspot.com/2009/07/fatemeh-sadghi-is-assistant-professor.html] in May 2008, she was suspended from her teaching post at the university. Below are extended excerpts from an article which she recently published in Alborz, a site devoted to a critique of political economy. In this article, she critiques both conservatives and Religious Revisionists who defend the practice of temporary marriage. To find English equivalents for certain terms, I consulted the glossaries in Shahla Haeri’s Law of Desire: Temporary Marriage in Shi’i Iran (Syracuse University Press, 1989) and Janet Afary’s Sexual Politics in Modern Iran (Cambridge University Press, 2009). Following Daryoush Ashouri’s advice, I have translated the term no-andishan-e dini as Religious Revisionists. My glosses are interpolated in square brackets. This translation was originally published by Tehran Bureau on March 15, 2010 (http://www.pbs.org/wgbh/pages/frontline/tehranbureau/2010/03/temporary-marriage-and-the-economy-of-pleasure.html). Iranian Feminist attorney and human rights activist, Shadi Sadr has decided to dedicate her Women of Courage Award to Shiva Nazar Ahari, an imprisoned women’s rights activist. Sadr chose not to travel to Washington D.C. on Wednesday March 10 to receive the award from U.S. Secretary of State, Hillary Clinton. Instead she sent a recorded message to be braodcast at the awards ceremony. The U.S. Department of State decided not to broadcast Sadr’s message during the ceremony. Below is the full English text of her message, which was published on the website of Women Living Under Muslim Laws. Danny Postel’s “The Specter Haunting Iran” is a welcome call for “critical solidarity” with the Iranian democratic opposition movement. Unlike those on the Left who have been wary of characterizing the current democratic movement in Iran as a progressive phenomenon, Postel has supported this movement as a completely new and progressive phenomenon or what he calls “a deep-seated shift in the consciousness of millions of Iranians in their ways of seeing and perceiving their political reality.” . . . Given Danny Postel’s grasp of the “deep shift in consciousness” that has taken place in Iran, I am surprised to see him offer Hugo Chavez’s Bolivarian economic experiment as an alternative . . .